Application Deadline: The application deadline for this program is ongoing. The African Palliative Care Association (APCA) is providing about 10 travel scholarships to African Nurses who are interested in attending the 5th International Public Health and Palliative Care conference in Ottawa, Canada. have graduated less than 10 years ago from university. be living in Lower, Lower-Middle and Upper-Middle income categories as per the World Bank income classification data. 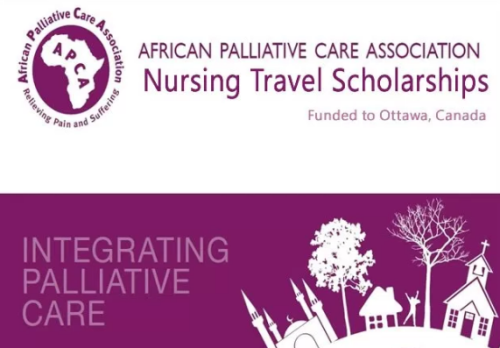 All the information about African Palliative Care Nursing Travel Scholarships has been delivered nicely; interested and talented students who are eager to pursue their Free Tuition/Scholarships/Study in Canada can apply now. Labels: Canada Scholarship, Health Scholarships, Scholarship.